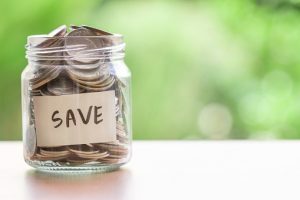 When people talk about saving money, they often mention the big things like getting rid of cable or refinancing a mortgage to a lower interest rate. Those are excellent ways to save each month, but sometimes it can be easier to tackle some smaller things first. Here are 10 things you can do right now that can help you reduce your spending. When it comes to saving money, sometimes it’s easier to tackle small things first. Are you paying too much for your auto or home insurance? Make sure you are taking advantage of any military discounts you may be entitled to. Also, take a good look at your coverage. You may be able to lower your rate by increasing your deductible. If you use different companies for your car and homeowner’s insurance, enquire about bundling your coverage under one company. Most insurance companies offer bundling discounts. Also keep in mind that insurance needs can change over time. For example, if you have an older car, you may not need collision. This Omni article includes more tips on how to lower your car insurance. You’ll enjoy significant cost-savings by cooking and preparing your own meals. Cutting back on one $8 fast food lunch a week would save you $32 a month. Eating dinner out two less times per month could save you $30+. You can also make your own morning coffee instead of buying it and have a potluck dinner at home with friends rather than going out to a restaurant. Some habits are not just bad for your health, they are also bad for your wallet. And we’re not talking about just cigarettes (of course that could be considered expensive bad health habit number one!). Consider other ways in which you could replace expensive unhealthy habits with healthier less expensive options. For example, drink tap water (free!) instead of pricy sugary sodas or calorie-laden lattes. When you use an out of network ATM, that ATM will most likely charge you a fee and you will also be charged a fee from your own bank. Fees can be as high as $4 each. That can quickly add up. Try to use only in-network ATMs and plan out how much cash you will need for a given time period so you don’t have to resort to using an out-of-network ATM. Save money by using coupons, avoiding out of network ATMs, and cutting back on eating out. Whether you find them online, in your local Sunday newspaper or through an app, coupons can save you more than a pretty penny over the course of a month. Save 25 cents here…get cash back there…or buy an item and get one free…with coupons you can stack up real some real savings! Even if you never become an “extreme couponer,” you can still save big! Here are some places you can find coupons and read this blog for great tips on how to get the most out of them. If you pay your credit cards late, not only do you have to pay late fees, but you may also be penalized with a higher interest rate. Regaining control of your payments will help you avoid paying more than you have to every month. Consider automating your payments so your payments are automatically debited from your checking account by their due dates. Just be sure to keep track of your checking account balance to ensure that you have money in your account to cover the bills. You don’t want to have another problem – insufficient funds. Creating a budget so that you can see how much money is coming in vs. how much is going out can help. Many stores and businesses recognize the important work you do by offering the military special discounts. You may be surprised at just how many ways you can save when shopping or going out. There are military discounts available for everything from movie tickets and moving services, to school and art supplies, sporting events, tech products and more. Military discounts are often unpublished, so be sure to ask if there is one available, and always have your military ID with you so that you can take advantage of any military-exclusive savings. While some projects should be handled by professionals, there are others that you may be able to complete by yourself relatively easily. There are plenty of online tutorials to guide you through all types of home, garden and car repair, renovation and maintenance tasks. A little research and elbow grease can save you a lot of money. This Omni blog talks about some of the car repairs you can do yourself. For other how-to hacks and ideas, check out the DIY Network website. By shopping smart, doing your research and planning ahead, you can save money and get more bang for your buck. Avoid shopping for food and other products at convenience stores. While it may be easy to quickly buy some essentials when you fill up your car or pick up your medicine, that “convenience” comes at a price that is almost always higher supermarkets. And of course, take advantage of your commissary benefit and enjoy average savings of 30% or more on your grocery bill when compared to shopping at standard supermarkets. When purchasing larger ticket items, take the time to comparison shop and price match to make sure you are getting the best deal. Another tip to shop smart is to avoid impulse buying. Make an effort to only carry cash and leave the credit cards and debit cards at home. Do you still use incandescent lightbulbs instead of CFLs or LEDs? Is your heat set high even if when you are away? How about your air conditioning? Are you leaving your laptop and cell phone plugged in all the time? By making a few changes in your home and to your habits, you could save energy and cut your utility bills. Here are some other ways you could be over-guzzling energy in your home. Over time, little expenses can add up to a lot. Cutting back and making small changes can really make a difference to your bottom line. The information provided in this blog post is for informational purposes only. It should not be considered legal or financial advice. You should consult with a financial professional to determine what may be best for your individual needs. All military discounts require proof of military service. See individual websites for details, restrictions, expiration dates, and other information. Offers and discounts can change at any time. Omni Financial does not endorse, recommend or imply affiliation with the listed companies or organizations.